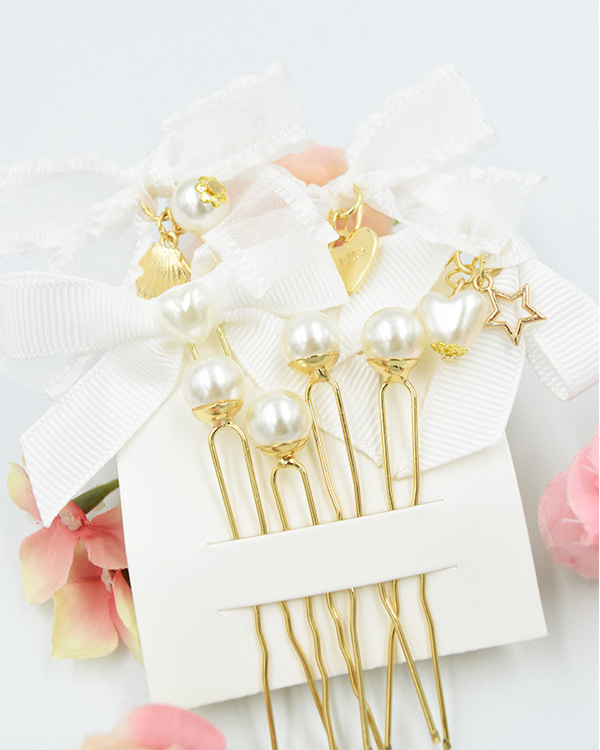 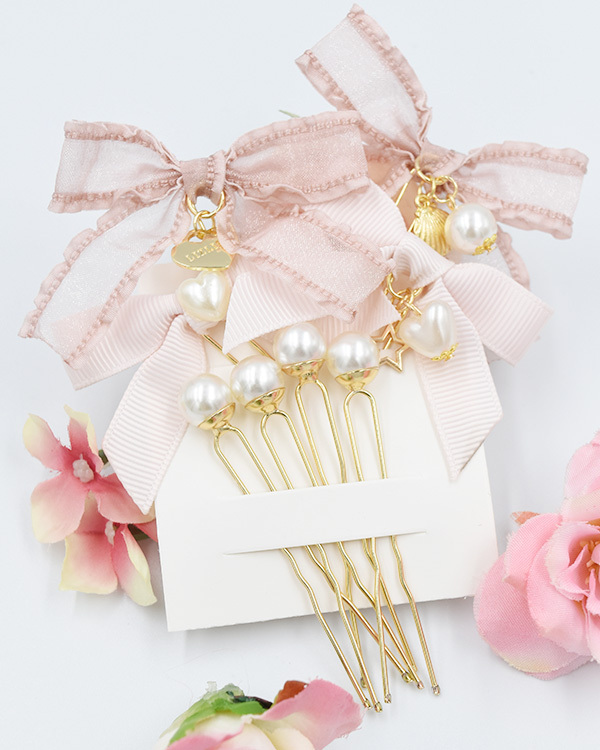 Ribbons and pearls U shaped hair pins. 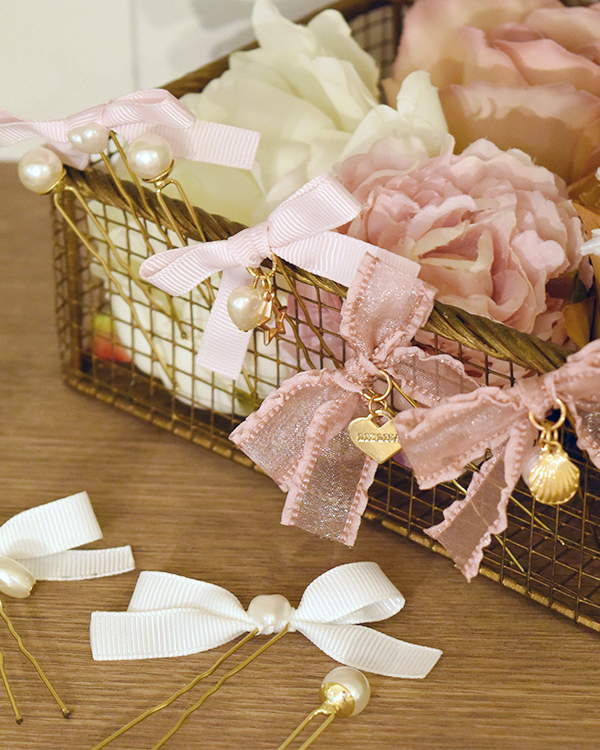 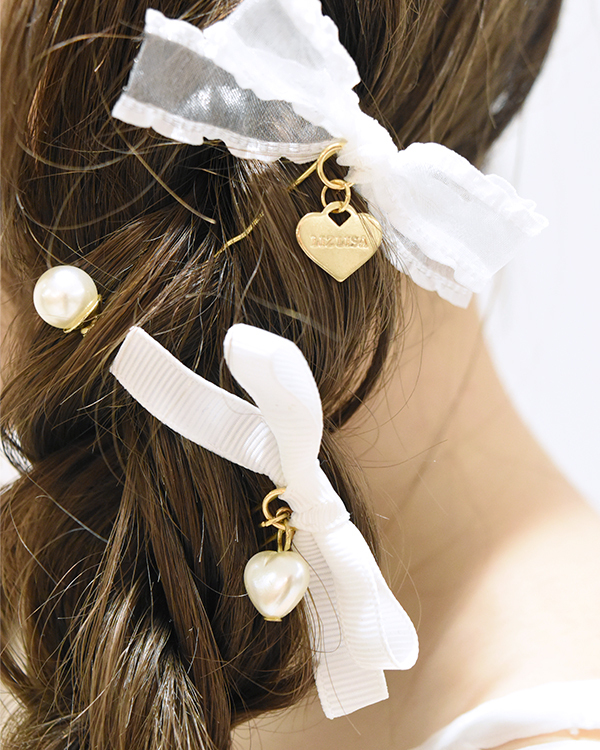 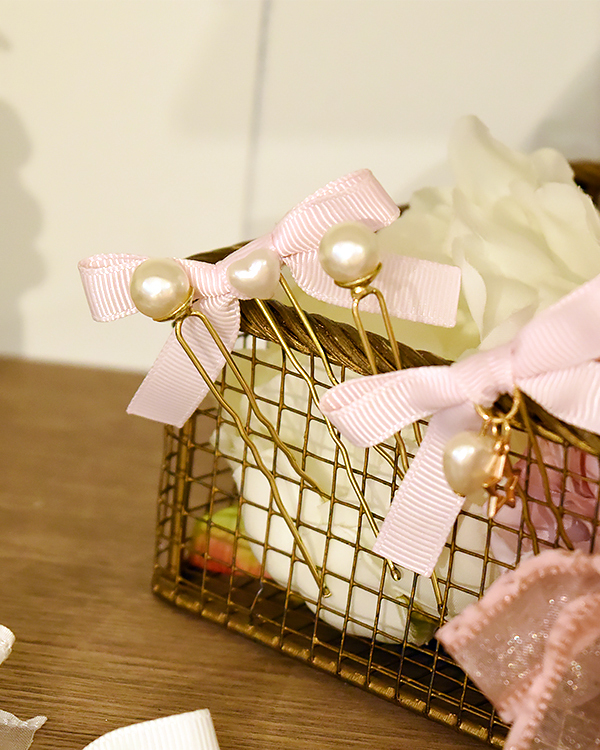 The ribbon has cute charms such as hearts, shells and stars. 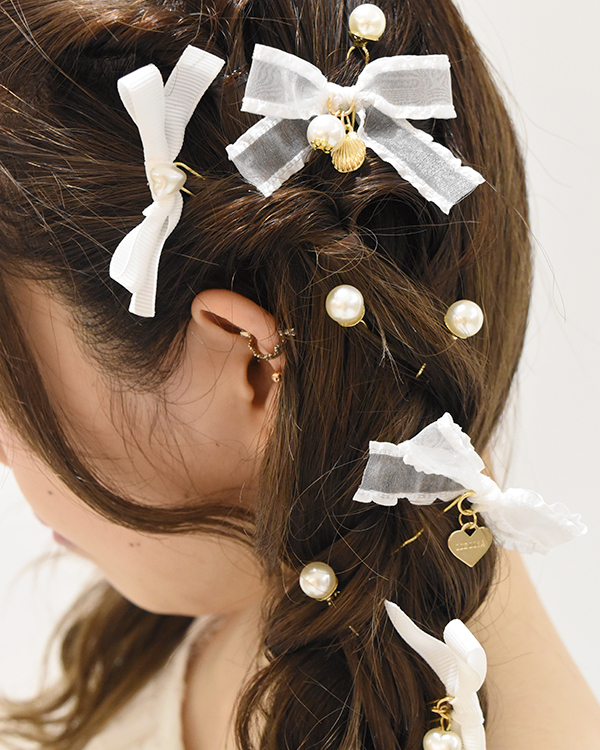 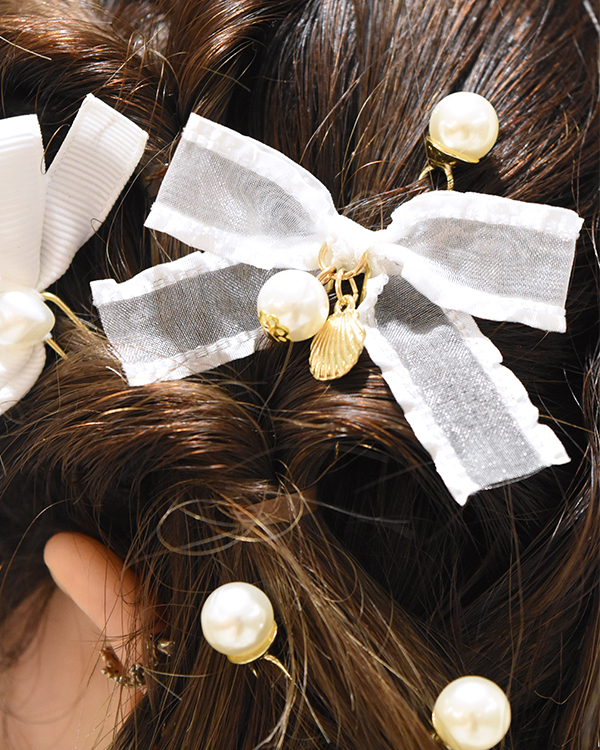 Just put the pins in your cute braided hair to transform your hair cutely. 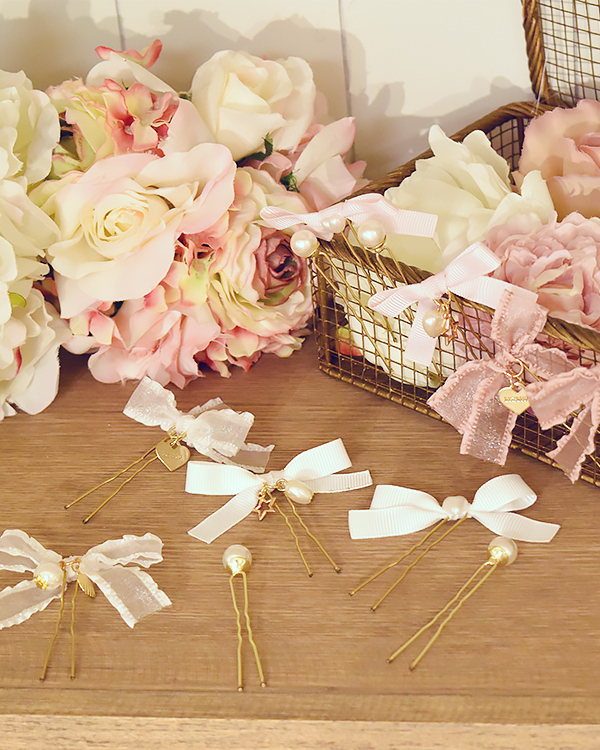 Also nice for special days or events such as concerts and weddings etc.